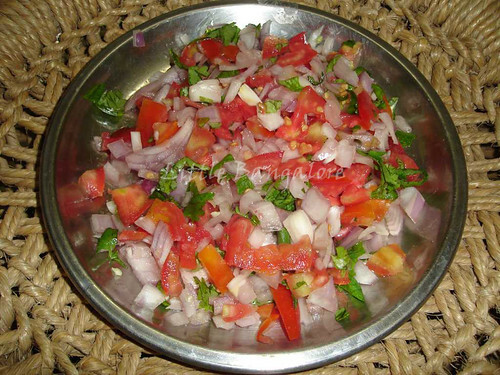 Chop tomatoes, onions, green chilly and coriander leaves and mix them well. 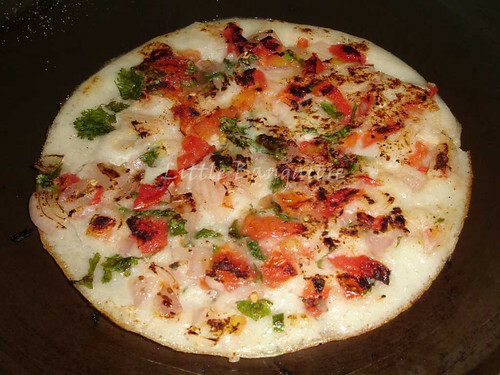 Put a non-stick pan or tawa on burner and heat it on medium flame. 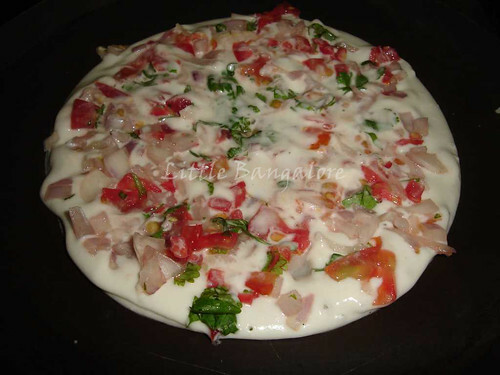 Pour some batter on it with the help of serving spoon and spread it. 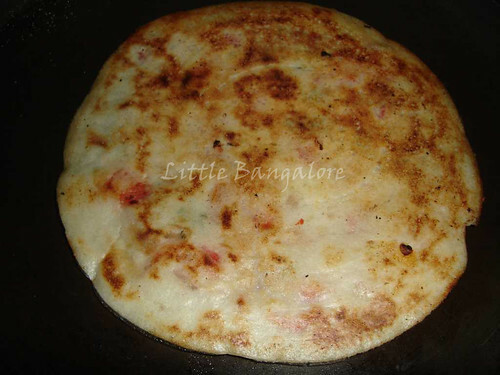 Add tomato onion mixture on the top side of the spread batter. 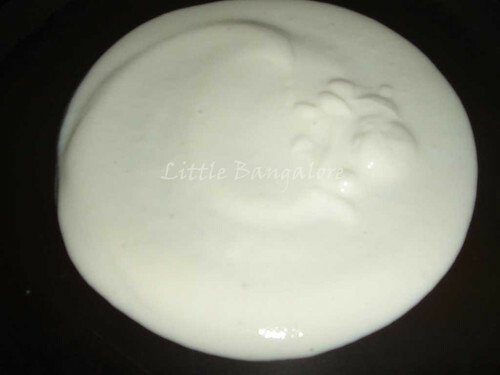 Spread a tsp of oil on its sides and overturn the Uttapum once cooked from bottom. Cook in the same way from the other side. 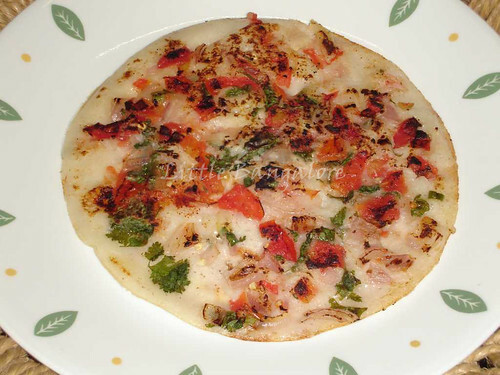 Hot and tasty uttapum ready to serve.